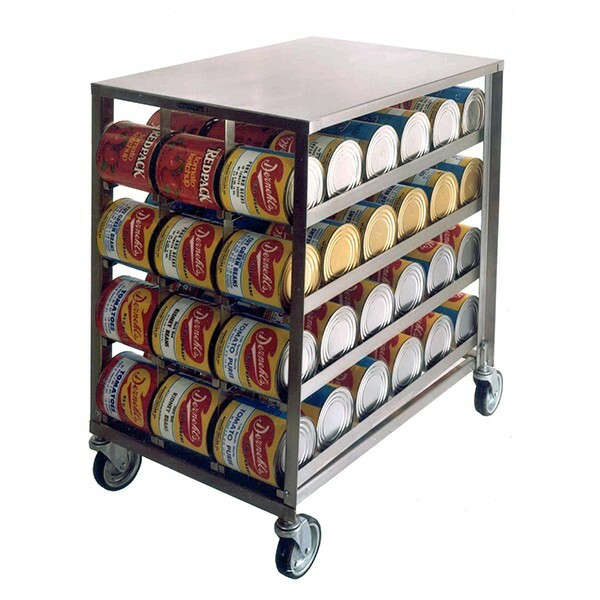 Gravity feed system puts cans at your fingertips and ensures First In First Out inventory management, available with stainless steel or plastic polyethylene removable top for added work space, mobile models move easily for loading or cleaning. 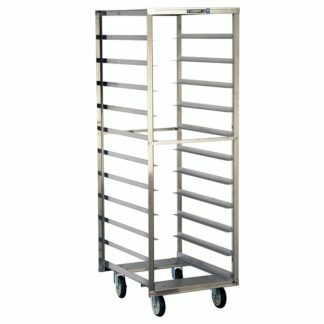 Stainless steel can storage racks. 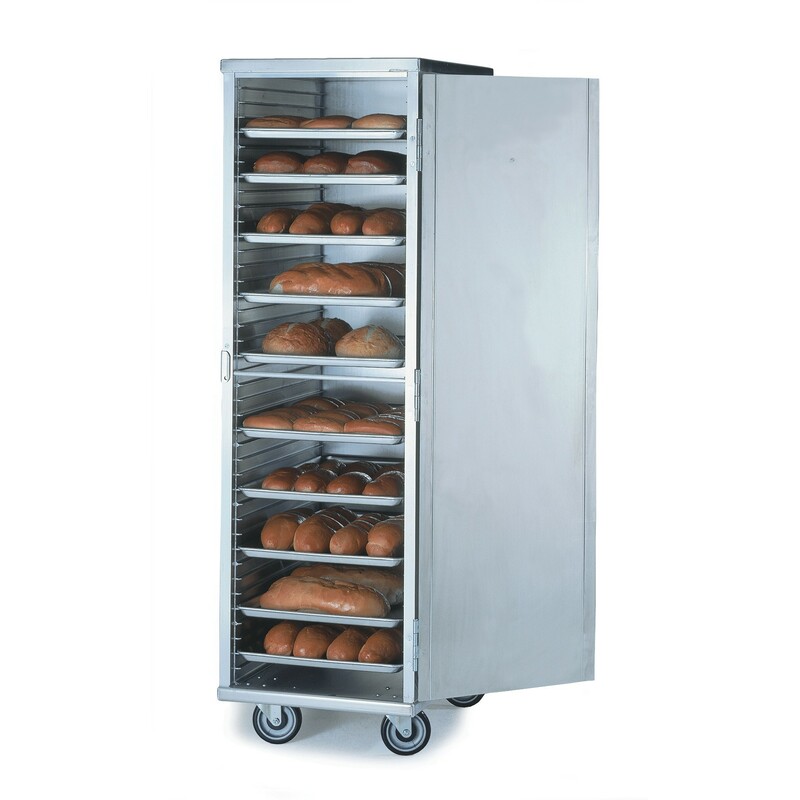 One-hand dispensing from the front allows for multi-tasking in a past-paced environment. 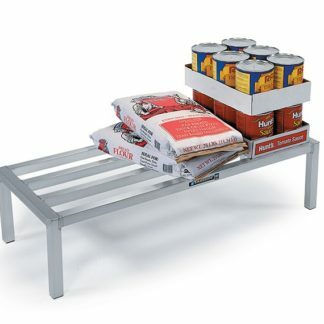 Top is reinforced 18 gauge stainless steel to withstand additional weight or more cans or other storage items. Available as mobile or stationary.